Gut issues, or gastrointestinal (GI) distress is a common and recurring issue amongst athletes participating in sport and exercise. The prevalence of such problems can interfere with performance to such an extent that it will either impair or cause in-completion of an event or exercise session. GI distress stretches further than just the event itself, but to the period after which impacts the recovery process as nutrient availability is greatly compromised. For example, If the next endurance type event is within a 24 hour period, then carbohydrate replenishment will be a large factor to the success of that event as carbohydrate availability drives athletic performance. Therefore, maximising both liver and muscle glycogen resynthesis post exercise is essential where recommendation of 1.2g of carbohydrate per kilogram of bodyweight every hour for approx. 3-4 hours is suggested – This equates to roughly 100g of carbohydrates per hour for a 83kg athlete. As imagined, consuming high volumes of carbohydrate with the addition of protein and potentially caffeine post exercise is not a high priority when gut issues are prevalent. It is apparent that GI distress is prevalent and has been reported to generally affect 30-50% of athletes and varies in its severity with mild symptoms expressed as; Vomiting, nausea, diarrhoea, abdominal pain and cramping to more severe symptoms as; hemorrhagic gastrisis, hematochezia and ischemic bowel. 30-90% of distance and marathon runners have reported GI issues. 30-50% of athletes performing exhaustive endurance exercise experience one or more GI issues per event. Up to 93% of long distance triathletes experienced symptoms during extreme environmental conditions. 70% of elite endurance athletes suffered exercise induced symptoms. 45% of athletes in an internet based study consisting of 1,281 participants experienced one or more problems. 37-89% of runners participating in 67-161km races experienced symptoms of which 85% experienced blood faecal losses from gastrointestinal haemorrhaging – This was reported during longer distance ultra marathon events. This has been followed up in recent and has been reported that 9 out of 15 ultra marathon runners experience gastrointestinal distress and subsequent performance. 43% of triathletes experienced gut issues resulting in 7% needing to retire from the race. Nausea and/or vomiting was the main cause of non-completion in two 161km ultra marathon events. Therefore, this highlights the prevalence and importance of fixing any gut issues that may arise in order to mitigate losses in performance or subsequent fuelling. As mentioned, issues experienced by athletes vary – however three main causes have been identified and are physiological, mechanical or nutritional in nature. During exercise, blood flow to the gastrointestinal tract becomes reduced to support the increased demand of the working muscles, heart, lungs etc, therefore causing ischemia of the GI tract – this reduction of blood flow has been reported to be by approximately 80% in some cases. Combined with dehydration and reduced gut permeability, this process has been suggested to be the main cause of GI symptoms. In addition to this, some cases have shown that the rate of food and fluid digestion/absorption; gastric emptying is reduced which again is further exacerbated by dehydration and the duration /intensity of the bout of exercise. Due to these factors, fluid is reabsorbed into the gut to prevent high osmolalities – this in return may cause GI symptoms. For example, vomitting during intense exercise. From a mechanical stand point, posture may influence symptoms. For example, running causes repeated gastric jostling and gut trauma which causes symptoms located in the lower GI (flatulence, diarrhoea) where cycling; tucked position causes upper GI symptoms potentially from increased pressure of the abdomen. Furthermore, this may also explain GI symptoms experienced in rugby players; the combination of tackling and contact with running may further increase gastric trauma, however this is hypothetical at best. Both anecdotal and research would suggest that the nutrition approach taken can drastically influence GI distress. Specifically, high amounts of protein, fibre, fat and fructose in combination with dehydration appear to be the main contributors to such disturbances as they most likely reduce the rate of gastric emptying. I.e. the slower absorption rates of nutrients combined with increased reabsorption of fluid into the gut will cause GI distress. For athletic performance, it is well document carbohydrates are king. Therefore, athletes strive to consume carbohydrates during exercise – However it is often reported that high amounts of a single source of carbohydrate delays gastric emptying, therefore has the potential to impair performance rather than assist. To combat this, the timing, type and amount of carbohydrates are needed to be considered to get the best of both. Finally, athletes reportedly use Non-Steroid Anti Inflammatory Drugs (NSAID’s) to ease or pre-empt the management of pain from exercise. However, the consumptions of NSAD’s have been associated to a three to fivefold increase in upper and lower GI complications and can contribute to negative sporting performances especially when other symptoms are prevalent. When it comes to preventing GI distress during exercise, prevention is the best policy. Both research and anecdotal evidence would suggest that the following guidelines are to be followed by any athlete that experiences gut issues. Competition nutrition and training nutrition differ greatly. For competitive performances, reduce dietary fibre intake on the day of competition to improve rates of gastric emptying. As dietary fibre offers a host of benefits, consume ample amounts during the training week with the pre training meal being significantly lower. Therefore the remaining meals of the day will need to more fibrous in order to compensate. Unless it’s absolutely essential, NSAID’s should be heavily discouraged – In this instance exercise or competition may need to be avoided if pain is excessive. Avoid high amounts of a single source of carbohydrate during exercise. Glucose is maximally absorbed at approximately 1g per minute (60g/hour) – dosages beyond this will result in saturation of the glucose transporter in the gut and cause a bottle neck situation. In return increases the guts osmolality, water reabsorption and GI distress. Therefore, if carbohydrate intakes above this are required to meeting fuelling requirements (over 2.5 hours), consuming a 2:1 mixture of carbohydrates (glucose:fructose) would take advantage of increased absorption rates/gastric emptying. Therefore the aim would be to fully saturate the glucose gut transporter; SGLT1 at at dose of 60g/hour with the addition of fructose at 30g/hour to take advantage of the fructose transporter; GLUT5. This will result in consuming the recommended dose of 90g/hour for ultra endurance type events. However, fructose only beverages have been reported to cause GI distress. Avoid dehydration as this may amplify any GI issues. Therefore it is advisable to calculate your individual exercise fluid requirements for different environments, duration’s and intensities. Since the goal of fluid intake is to match sweat rates, being able to identify individual needs is a high priority – not only for GI distress, but for overall exercise performance. As with anything, too much can be a bad thing. For most, a general rule of thumb would be to consume individual tolerable amounts which generally lies between approx. 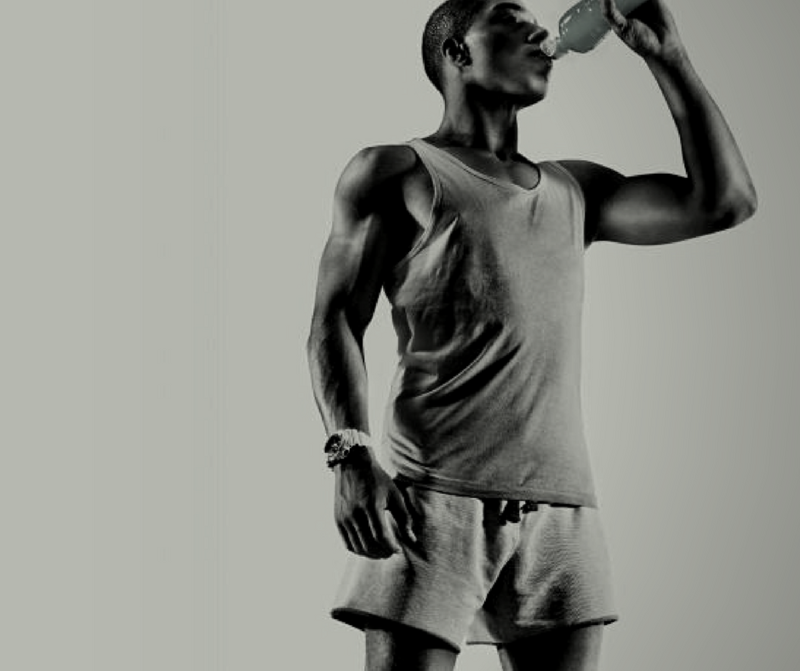 400-800mL per hour of exercise with a maximum intake of 1 litre per hour. However environmental, sweat rates and body size can influence these recommendations. Trial new competition strategies in training which replicates competition demands. Consider this as a trial period to find out what works and what doesn’t regarding your current plan of action. If a particular food type or amount elicits any gut issues, then it will be identified in training rather than competition. The aim with an competition day strategy is to have it down to a fine art and not trying a new approach on the day.